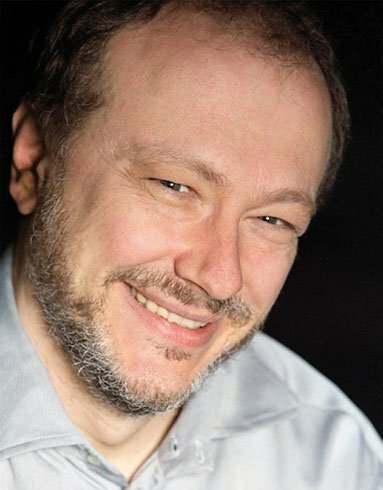 Friday night the brilliant pianist Marc-André Hamelin played his third Celebrity Series concert of the season. The first was a solo recital, the second a duo with Emanuel Ax, and the third duos and trios with violinist Anthony Marwood and clarinetist Alexander Fiterstein (who stepped in at the last moment to substitute for Martin Fröst, who had injured his shoulder). I’ve heard Hamelin in chamber music before, so I was hardly surprised that he played the Schubert, Debussy, Stravinsky, and Bartók pieces better than most. The surprise—to everyone—was the young (but not unrecognized) Fiterstein, from Israel via Belarus, who provoked near-hysteria in the lobby at intermission. “Astonishing,” “perfection,” “stupendous” were among the superlatives people were tossing about. It was like being at the Met when a last-minute substitute turns out to be absolutely fabulous. I do not recall a chamber music concert where everyone was so excited about one player; it was the simply most beautiful and elegant clarinet playing I had heard since the BSO’s Harold Wright died, 21 years ago. BMInt interviewed him here. The concert opened with an impassioned account of Schubert’s two-movement Rondo in B minor for violin and piano, D. 895 (1826), one of only three Schubert scores that reached the public during the composer’s lifetime. Marwood and Hamelin have been playing this piece on tour, and it showed. Marwood, leader/soloist with orchestras in Ireland, Great Britain, and Australia, captured the Rondo’s chameleon moods to make the performance a most exciting one. I have never found Debussy’s Première rhapsodie for clarinet and piano (1909-10) a piece to knock your socks off, but that was before I heard Fiterstein and Hamelin play it. Hamelin, who has thought a great deal about this composer, is the ideal Debussy chamber music partner. The Rhapsodie began life as a competition piece for his alma mater, the Paris Conservatoire. Beginning with its dreamlike opening, it received a luminous performance, and Fiterstein totally cast a spell. The audience clapped wildly. Most listeners know L’Histoire du soldat as a work Stravinsky and his Swiss novelist friend C.F. Ramux co-created for a production designed for three actors, dancer, and seven-piece chamber ensemble. Based on a Russian folktale (“The Runaway Soldier and the Devil”), it was premiered in 1918 in Lausanne with Ernest Ansermet conducting. The version for piano, violin, and clarinet, one would have thought, would take some getting used to for those who familiar with the original. But the performance by this particular dream team was lusty, sassy, beguiling and great fun, with flawless ensemble. A 1920 French journal article described Francis Poulenc at 21 as one of “les Six,” a group of rising French composers, Auric, Durey, Honegger, Milhaud, and Tailleferre being the others. Poulenc had planned on writing sonatas for each member of the woodwind family, but, like Debussy with his six sonatas planned for “various instruments,” never lived to finish them. The Flute Sonata (1956) is by far the best-known and one of the highlights of the flute repertoire. There is also an oboe sonata dedicated to Prokofiev’s memory. The Sonata for clarinet and piano (1962), like many of his works, combines the two sides of Poulenc’s musical personality, which a critic famously described as “part monk, part rascal.” The sonata was premiered at Carnegie Hall by Benny Goodman, who commissioned the piece and had planned on having Poulenc as his pianist. Alas, Poulenc had a fatal heart attack; Goodman’s pianist was Leonard Bernstein. It is fitting that in its 75th anniversary season, the Celebrity Series has, on this special Hamelin concert, three pieces from the famous February 1941 concert featuring Benny Goodman, Bela Bartók (pianist), and Joseph Szigeti (violinist): the two Debussy works and Bartók’s Contrasts. Many in the audience felt the clarinet playing in the Poulenc sonata was the highlight of the evening, which is saying a great deal, as almost everything was spectacular, including the three-movement Debussy Sonata in G minor for violin and piano, performed unusually nicely by Anthony Marwood in his best work of the evening. Finally, the famous Contrasts for violin, clarinet, and piano (1938), the only piece Bartok wrote that included a wind instrument, got an elegant performance, full of spirited playing by all three of the evening’s outstanding musicians. My only regret is that they didn’t record it for CD. They did, however, do a reprise of “The Devil’s Dance” (allegro vivace) that left the audience happy indeed. Three thank yous to the Celebrity Series for their inspired idea of having Marc-André Hamelin perform three times. Concerts don’t get much better than this one.